Data from three studies using non-invasive medical devices offer some hope to people suffering from migraine. The findings are being presented this year’ 59th annual meeting of the American Headache Society, taking place June 8 – 11, 2017 in Boston, Massachusetts. Migraine is a disabling neurological disease that affects more than 36 million people in the United States. 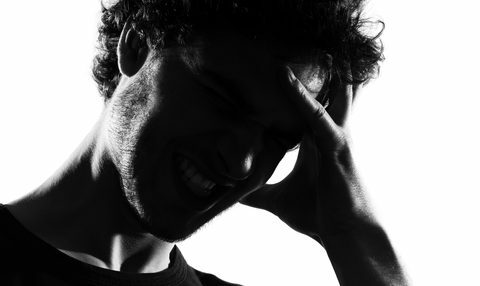 Episodic cluster headache is an extremely painful disease that occurs with attacks that last for weeks or months, followed by pain-free periods. “The devices used in these studies are important treatment options, especially for individuals who cannot tolerate many of the standard medications for these debilitating disorders,” said Peter Goadsby, MD, PhD, FAHS, AHS Scientific Program Committee Chair, Professor of Neurology at King’s College, London and University of California, San Francisco and Director of NIHR-Wellcome Trust Clinical Research Facility, King’s College Hospital, London. A presentation titled “Multi-Sensory Neuromodulation of Migraine: A Role for Vestibular Stimulation” included new findings from a randomized, placebo-controlled study showing that non-invasive caloric vestibular stimulation (nCVS) can prevent episodic migraine. The vestibular organs comprise the sensory system within the inner ear and provide balance control and spatial orientation. The nCVS device used in the study consisted of a headset similar to music headphones, with aluminum earpieces to conduct programmed temperature fluctuations, and a control unit that powers the device and allows patients to start treatments. Patients who used the nCVS device for two 18-minute sessions daily reported 1.8 fewer migraines after one month compared to what they experienced before the study (at baseline) (p = 0.006), and 3.3 fewer migraines vs. baseline after three months, the primary endpoint (p < 0.0001). The number of migraines reported by patients using a sham device did not significantly change compared to baseline during any of the treatment months. No serious or unexpected adverse events were reported, and the rate of expected adverse events was similar for both the nCVS and sham device groups. A second presentation titled “A Multicenter, Prospective, Single Arm, Open Label, Post-Market, Observational Study to Evaluate the Use of sTMS in Reduction of Migraine Headache (ESPOUSE Study)” included findings from a study examining the use of a device called a single pulse transcranial magnetic stimulation (sTMS) for the prevention of migraines. Approved by the U.S. Food and Drug Administration (FDA)in 2013 for treating migraine with an aura, about a quarter of all migraine, the sTMS device delivers a brief magnetic field pulse to certain areas of the brain, generating an electric current that treats the headache. Auras typically start within an hour or so before the headache, and can include sensory symptoms such as vision loss, flashing lights, or zigzag patterns; prickling, tingling or numbness; limb weakness and others. ESPOUSE was a multicenter, prospective, single-arm, open-label observational study evaluating the sTMS device for prevention of migraine with or without an aura. Participants had to have 5 to 25 migraines per month prior to entering the study, with each lasting four or more hours a day and reaching moderate to severe pain. They used the device for preventive therapy (four pulses twice daily) and acute treatment if a migraine occurred (three pulses at 15-minute intervals, repeated up to three times). 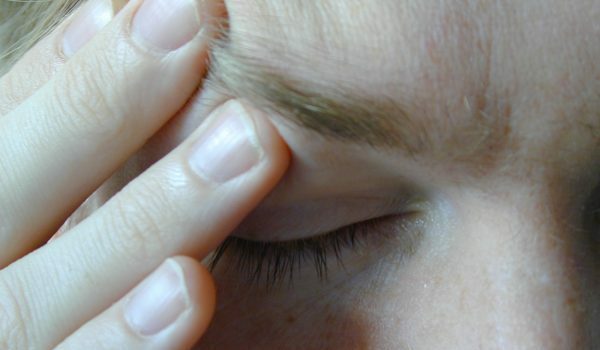 After three months, use of the device reduced the number of headache days in a month, the primary endpoint, by 2.8 compared to the baseline of 9.1 – about a 31% reduction. These results were based on 132 participants who completed the study. About 19% of participants reported adverse events that were possibly, probably or definitely related to the device, though none were serious. A presentation titled “Non-invasive Vagus Nerve Stimulation for the Acute Treatment of Episodic and Chronic Cluster Headache: Findings from the Randomized, Double-blind, Sham-Controlled ACT2 Study” looks at gammaCore® (electroCore LLC), a device that provides non-invasive vagus nerve stimulation (nVNS). In this approach, electrical impulses are delivered through the skin to a branch of the vagus nerve, a major nerve from the brain to many areas of the body. On April 18, the FDA approved gammaCore®, hand-held nVNS device applied at the neck for acute treatment of pain associated with episodic cluster headaches. 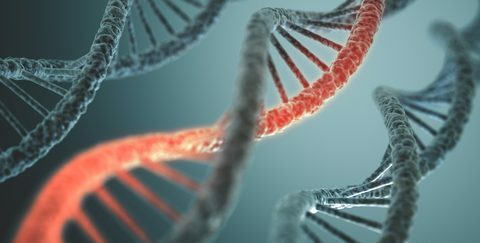 The results presented on gammaCore® were from a randomized, double-blind, placebo-controlled trial called ACT2, which included 30 participants with episodic cluster headaches and 72 with chronic cluster headaches. The study showed that eight times as many patients with episodic cluster headaches achieved pain-free status after 15 minutes – the primary endpoint – with use of gammaCore® compared to a sham device: 48% vs. 6%, respectively (p < 0.01). There was no significant difference in the primary endpoint between gammaCore® and the sham device among participants who had chronic cluster headaches. The proportion of patients experiencing more than one adverse effect was the same for the gammCore® and sham device groups (18% and 19%, respectively), and none were considered serious. Additionally, late-breaking abstract titled “Non-invasive Vagus Nerve Stimulation for Acute Treatment of Episodic and Chronic Cluster Headache: Pooled Analysis of Data From Two Randomized, Double-blind, Sham-Controlled Clinical Trials” will also be presented at AHS Annual meeting. This pooled analysis supports the use of nVNS as a viable, safe, and effective acute treatment option in patients with episodic chronic headache. Migraine is a major disabling neurological disease that affects more than 36 million men, women and children in the United States, more than have asthma or diabetes combined. 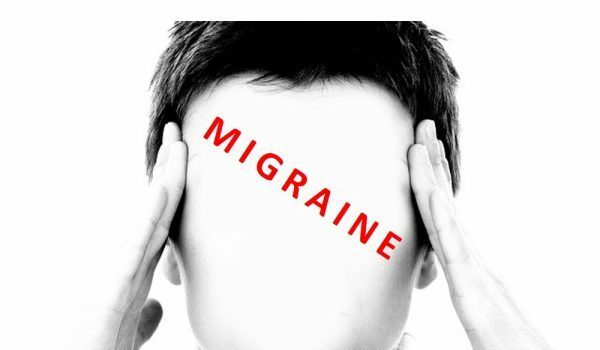 Individuals who experience migraine have symptoms that include nausea, sensitivity to light and/or odors, skin sensitivity, fatigue, mood change, dizziness, difficulty concentrating, neck pain and changes in vision, including seeing spots, stars, lines, flashing lights and zigzag lines. About four million people have chronic migraine or experience more than 15 migraine days a month. High-frequency episodic migraine is defined as 10-14 headache days per month, while episodic migraine is characterized by those with migraine who have 0 to 14 headache days per month. Migraine impacts one in four households, one in five women, one in 16 men and one in 11 children in the United States. Globally, migraine is the sixth highest cause of years of life lost due to disability and can be extremely disabling and costly, accounting for more than $20 billion in direct (e.g. doctor visits, medications) and indirect (e.g. missed work, lost productivity) expenses each year in the United States. Cluster headache is a rare and extremely painful disorder, typically described as a severe, unilateral, orbital pain. Symptoms may include red or teary eyes, swollen or drooping eye lid, nasal congestion or runny nose. Patients are usually restless during an attack, which last about 15-180 minutes and may be seasonal in nature. 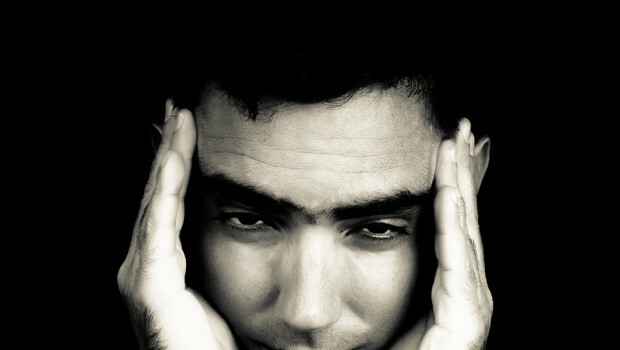 Cluster headache is more common in men than women and typically begins when people are in their twenties. Affecting about 80% of people with cluster headaches, the episodic type typically involves head pain lasting for 4 to 12 weeks once a year and then disappears for several months or years. The remaining 20% have chronic cluster headaches, which do not have pain-free intervals. About the American Headache Society The American Headache Society (AHS) is a professional society of health care providers dedicated to the study and treatment of headache and face pain. The Society’s objectives are to promote the exchange of information and ideas concerning the causes and treatments of headache and related painful disorders. Educating physicians, health professionals and the public and encouraging scientific research are the primary functions of this organization. AHS activities include an annual scientific meeting, a comprehensive headache symposium, regional symposia for neurologists and family practice physicians, and publication of the journal Headache. More information can be found at www.americanheadachesociety.org. In 2010 AHS founded the American Migraine Foundation (AMF) to provide access to information and resources for individuals living with migraine, as well as their loved ones. AMF is a non-profit organization dedicated to the advancement of research and awareness surrounding migraine. 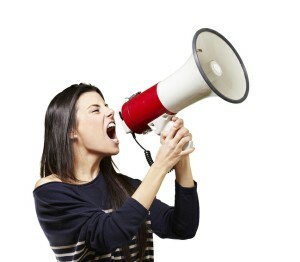 Patients can learn more, find help and get connected by visiting www.americanmigrainefoundation.org.